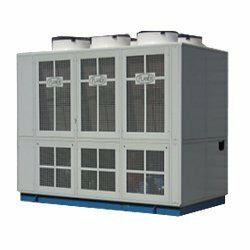 We manufacture largest range of Air Cooled Chillers includes Air Cooled Water Chillers, Air Cooled Brine Chillers and Self Contained Air Cooled Liquid Chillers Air Cooled Liquid Chillers for Chilling variety of Liquids. We have Highly Efficient, Economical, Robust and Largest Range of Air cooled Chillers called as ELIPAC Series. Our Air Cooled Chillers uses Refrigerant R22 (HCFC) or Eco-friendly R134A, R407C or R404A, and are suitable from Ambient Temp of 2 deg. C to 48 deg. C.
Manufactured using sophisticated technology and quality raw material, our Air Cooled Brine Chillers are appreciated in the market for their durability and and high performance. These are designed with precision to ensure the end product is compatible with the various applications in the industry. Our chillers can be customized in accordance with the requirements of the clients. With our expertise in this domain, we are instrumental in offering high grade Air Cooled Screw Chillers. These Air Cooled Screw Chillers are manufactured in order to serve our customers in the best possible manner. 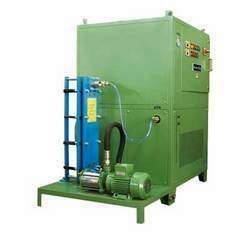 The air cooled screw chillers are constructed using superior quality screw compressors. We are presenting a wide assortment of Air Cooled Glycol Chillers. The offered chiller is equipped with agitator, coil, control box, stainless steel frame, and OEM approved components. Offered chiller is manufactured using stainless steel materials and approved electrical components. Provided chiller is largely utilized in shops, and commercial arenas. Clients can get the chiller from us at industry leading rates. Manufactured using sophisticated technology and quality raw material, our Air Cooled Water Chillers are appreciated in the market for their durability and high performance. These are designed with precision to ensure the end product is compatible with the various applications in the industry. Our chillers can be customized in accordance with the requirements of the clients. Air Cooled Liquid Chillers and Brine Chillers implies Package Chillers contained with Chilling System, Circulation Pump, Liquid Tank, Insulated Piping, Control Panel etc. Our Air Cooled Liquid Chillers are absolutely ready for use on Site, thus saving Cost & Time. 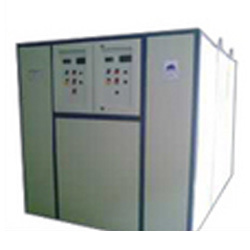 Our organization is involved in manufacturing and supplying superior quality Air Cooled Acid Chillers. These chillers are manufactured using premium quality raw material procured from the trusted vendors of the market. Moreover, these chillers can also be customized as per the specifications laid down by the customers. 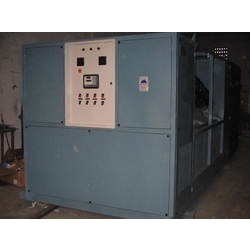 Clients can avail from us premium quality Air Cooled Oil Chiller at cost effective prices. 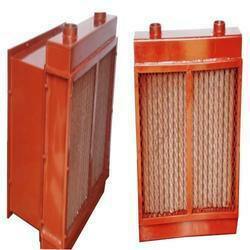 These coolers are specially designed for cooling the hydraulic oil from machines. Moreover, we also offer customization facility to the customers as per their needs and requirements. 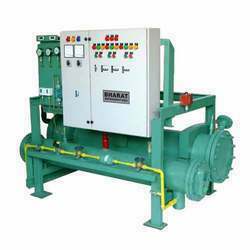 The coolers find their wide application in industry with various types of machines. 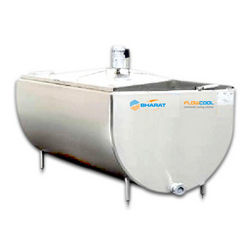 We are one of the leading manufacturers, exporters and suppliers of Air Cooled Milk Chillers. Our team members make sure that the chillers are manufactured using superior quality raw material, which is obtained from the reliable sources of the market. Moreover, clients can also avail these chillers in customized forms as per their needs and specifications. 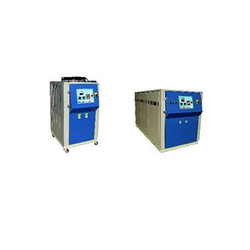 Our organization is counted among the leading manufacturers and suppliers of Air Cooled Process Chillers. With advanced technology and improved efficiency, these chillers are appreciated for their wide usage in various industries. Moreover, we also offer customization facility for these chillers to meet the multiple needs and requirements of the customers. Our organization is engaged in offering high class Self Contained Air Cooled Water Chillers to the clients. 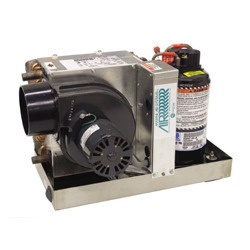 These chillers are installed with advanced compressors, which make them more durable. The other raw material used in manufacturing the chillers is also procured from the certified and well known vendors of the industry. We are involved in manufacturing and supplying Self Contained Air Cooled Brine Chillers. These brine chillers are engineered for cooling applications in various industries. Installed with superior quality compressors, the chillers offered by us are highly appreciated by the customers. 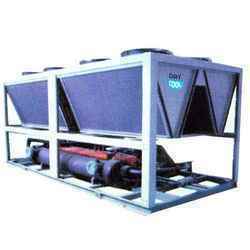 We are engaged in offering high grade Self Contained Air Cool Water Chillers to our clients as per the specifications laid down by them. The Self-Contained Air Cool Water Chillers offered by us are manufactured with advanced technology and high grade raw material to ensure international quality standards. 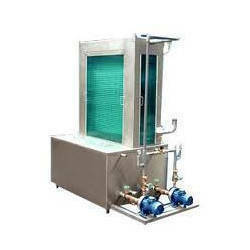 Owing to our vast experience in the industry, we are engaged in offering Sea Water Cooled Chillers. These chillers are made using superior quality raw material, which is obtained from the world famous vendors of the market. Moreover, our quality inspectors check the entire range on various parameters before the final dispatch to ensure their proper functioning. Looking for Air Cooled Chillers ?